Home/America/Is the Conviction of Jason Branum Another Example of Intelligence Community Abuse? Is the Conviction of Jason Branum Another Example of Intelligence Community Abuse? On the surface, the trial and convictions of Jason Branum and Bryan Brunsting read like an American tragedy. For Branum, a decorated war hero and Bronze Star recipient turned Los Angeles County Sherriff’s Deputy at the downtown Twin Towers Correctional Facility pays the price for physically abusing a mentally ill inmate and lying to cover up the attack. U.S. District Court Judge George Wu opined during the trial that in his estimation, Branum and his co-defendant Bryan Brunsting were part of an "us versus them" culture in the jail system that precipitated this kind of violence by employee’s verses inmates. 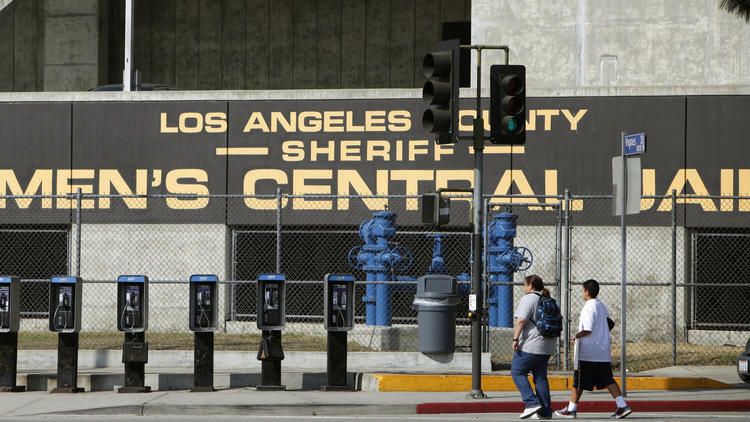 Branum and Brunsting were just 2 of at least 20 Sheriff's Department officials that have been convicted in recent years, as a result of a Los Angeles County Jail abuse probe. Unfortunately, their conviction and appeal has flown under the radar for the most part, as it has been lumped with others involved in the probe. Their case does have some unique wrinkles that merit a closer look. Additionally, an Los Angeles County Sherriff’s Department Internal Affairs investigation cleared the two co-defendants, and both continued their careers as Sherriff’s Deputies, even receiving outstanding supervisory reviews. Everything seemed fine for the two men as they successfully continued their careers and went about their lives. Then after more than 2 years had passed, in early 2013, they received a letter from Green and Shinee APC, the law firm that represented the Sherriff’s union at the time. The letter stated the several prior closed Sherriff’s department investigations were being reviewed by the FBI, including their case. The Internal Affairs investigation was only opened after Joshua Sather, a trainee at the facility when the incident occurred, started making claims to authorities that Branum and Brunsting had acted inappropriately. This was several weeks after the incident had taken place. Sather had actually resigned while still going through the training process, citing a family emergency in Colorado. This is what court transcripts show Sather told his superior at the time, Watch Commander Lt. Elizabeth Sachs. This would normally not raise suspicion, but Sather reconsidered his resignation and attempted to get his job back at the Sheriff’s department. It was only after being notified that he could not get his position at the facility back that Sather began making accusations against Branum and Brunsting. Between his multiple exit interviews and communications after the alleged force incident, Sather was afforded numerous opportunities to tell his story to staff and supervisors. Another eyebrow raising detail was the testimony of the Custody Assistant on duty during the incident, Porsha Singh. Singh, who advised the jury that she had been given immunity, claims to have lied to internal affairs when originally interviewed on the matter. She claims that the story she told the court after making a deal to avoid prosecution was the truth. There was already an established rift between the Los Angeles Sherriff’s Department and the FBI going back years before the reopening of the closed internal affairs investigations. Matters related to the handling of imprisoned informants, the alleged threatening of an FBI agent and improper interrogations by the federal agency were playing out in the time before and after the Branum and Brunsting incident and trials. In 2011, the Sherriff’s Department discovered an inmate by the name of Anthony Brown was an FBI informant tasked with obtaining evidence of corruption inside the Men's Central Jail. Brown was currently serving 423 years to life in prison for armed robberies at the time. Brown employed the use of a smuggled cell phone to gather information for the FBI behind bars. After he was outed as an informant, Brown told Lieutenant Steve Leavins that he feared for his life. The Sherriff’s Department then authorized the surveillance of Brown's FBI handler Leah Marx and approved a plan to confront the agent outside her home with threats of arrest in a felony complaint. Sgts. Scott Craig and Maricela Long, the officers sent to Confront Marx, have previously both admitted in a grand jury testimony that they lied. In a bribery investigation into the payout of funds to avoid towing on illegally parked cars, Lead FBI agent Jason Dalton, also the lead agent in the Branum and Brunsting case, was found to have violated the constitutional rights of a suspect. Sukhbir Singh, one of the owners of H.P. Automotive & Tow Service Inc., was interrogated without an attorney prompting prosecutors to drop the bribery charge against him. The case further fell apart for Dalton when his star informant, who witnessed abuses against motorists including theft and bribery, was found to have been operating under an alias while also carrying a checkered criminal past, destroying his credibility as a witness. As of March 16th 2018, the date the court denied a petition for rehearing, Branum and Brunsting had 90 days to perfect a Petition for Writ of Certiorari with the US Supreme Court. Those very technical petitions are rarely granted and require counsel experienced in Supreme Court practice. Julio Rivera is a small business consultant, political activist, writer and Editorial Director for Reactionary Times. His writing, which is concentrated on politics and cybersecurity, has also been published by websites including Newsmax, The Hill, The Washington Times, LifeZette, The Washington Examiner, American Thinker, The Toronto Sun, PJ Media and many others. I do see Corruption & unjustifiable actions here that should be questioned & explanation provided.